Professor Webb is the author of three books and consults on movie and television shows that are set in the near and far future. Her most recent book, The Signals Are Talking: Why Today’s Fringe Is Tomorrow’s Mainstream, explains how to predict and manage technological change. It was selected as one of Fast Company’s Best Books of 2016, was an Amazon’s best book of December 2016, won the Gold Axiom Award for the best book about technology and was a Washington Post Bestseller. Her bestselling memoir Data, A Love Story (Dutton/ Penguin 2013) is about finding love via algorithms. Her TED talk about Data has been viewed more than 6 million times and has been translated into 32 languages. Data is being adapted as a feature film, which is currently in production. 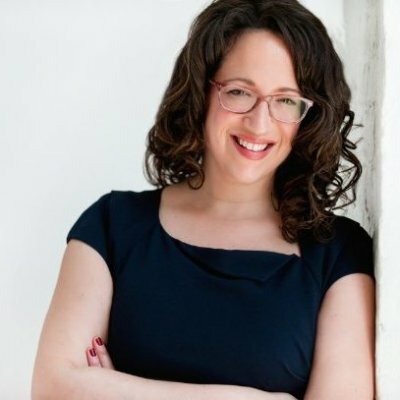 In an interview, Professor Amy Webb addresses the significance of the gap between the US and China on AI, from her book, "The Big Nine"
In a Q&A interview, Professor Amy Webb discusses her work as a futurist consultant for the TV series "The First"